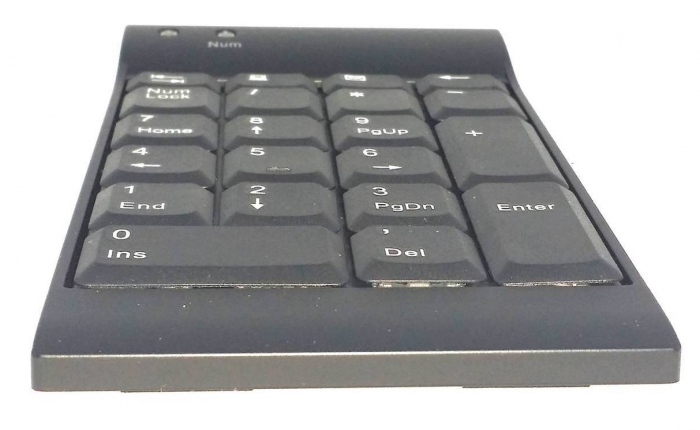 The UltraErgo Wireless RF Numeric Keypad is the ideal solution for anyone who has true ergonomic keyboard. The advantage of this high-quality, compact, lightweight keypad is that it can be placed anywhere on the desk, so you can choose the most relaxed posture for your own shoulders. 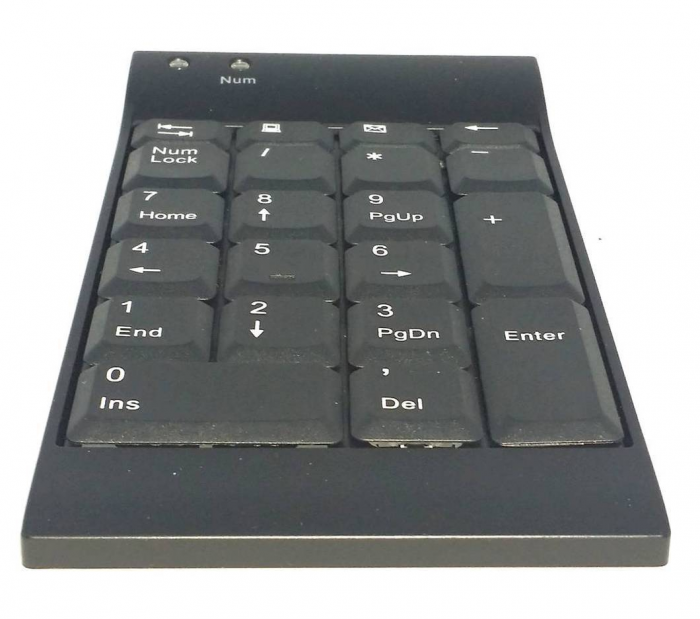 The UltraErgo offers a low profile keypad offers full size keys with an amazing tactile touch. 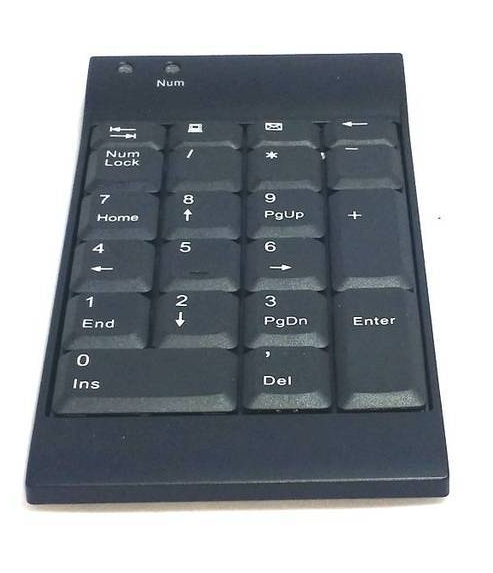 This numeric keypad is ideal for anyone including the quickest typists. Warranty: extends 2 years from production date (first four numbers of the serial number represent Year & month), and does not cover rubbed-off key print, removed keys and dirt & grime inside the keyboard leading to certain key(s) not working.